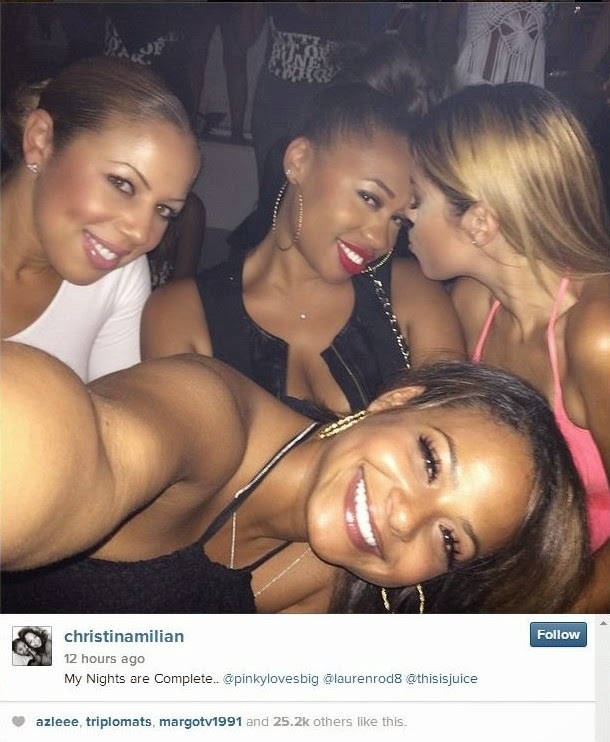 Did Lil Wayne just spill the beans that he’s official with Christina Milian? Last night, the rumored new couple was at L.A.’s premiere hotspot Supperclub, when the “Krazy” rapper got on the mic and gave a shout-out to his “baby.” The two were also recently spotted holding hands and smiling up a storm at the ESPY Awards. Unfortunately, it wasn’t all love announcements and selfies in VIP. When Weezy and Christina left the club and got into their Maybach, the rapper from New Orleans who calls himself a Blood was approached by a rival Crip. The close call was all caught on video, as the gang member threw up his set and kicked Wayne’s luxury car.